Wyberton earned a 3-0 Supplementary Cup victory over Lincolnshire League rivals Skegness United at the Causeway on Saturday. Lee Orrey bagged a brace for the hosts while Dan Maddison also found the net. Gary Frost’s side - who currently sit third in the Lincs League - will return to league action on November 14. 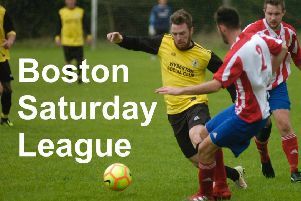 They will host Lincoln Railway AFC (KO 2pm).